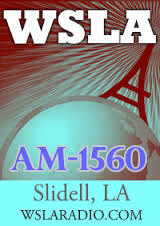 WSLA remains one of the last independent stations in the New Orleans DMA, completely owned by New Orleans indie MAPA Broadcasting. WSLA is a primary outlet for high school football in the Slidell/St. Tammany Parish area. In recent years the station has been the New Orleans market host for the Houston Astros. © 2019 WSLA Radio. All Rights Reserved.